A delightful, small church next to the National Trust property, as a consequence it is very easy to find as you just follow the brown tourist signs. 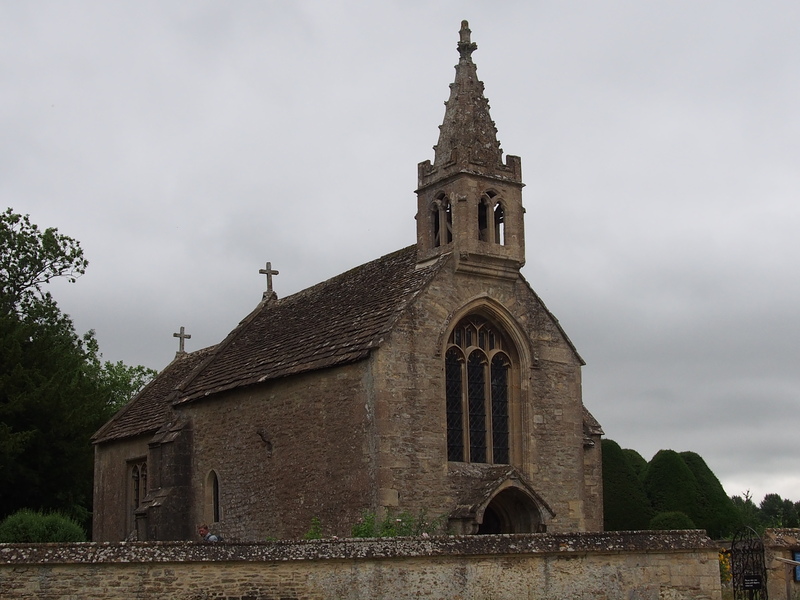 You visit the church by going through the gateway to Great Chalfield Manor. 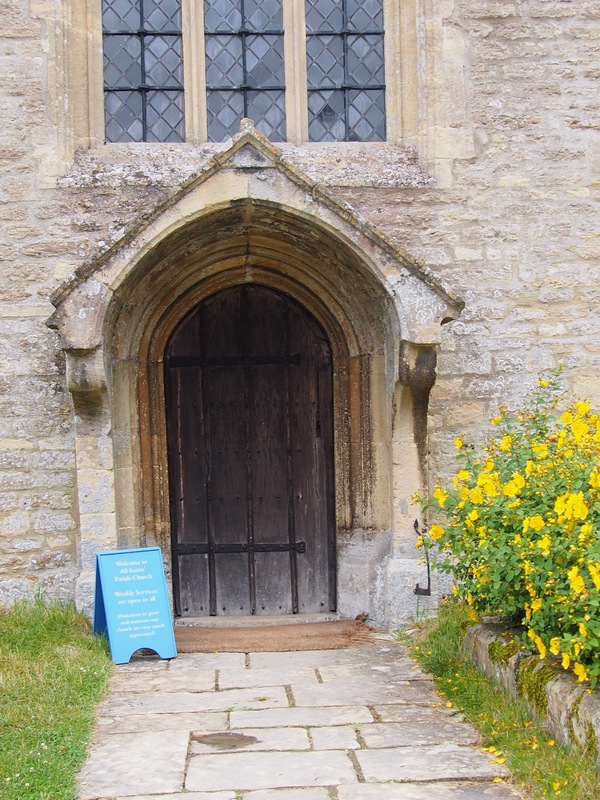 There is a welcome notice by the church door. The door itself is opened by pulling a shoe lace! Inside, I found a very atmospheric church. It is easy to overdo the word ‘atmospheric’ but it is truly justified here. It is a simply wonderful place that I recommend a visit to. There is a guide book at only 50p and some post cards. Also a ‘walk around’ guide sheet. 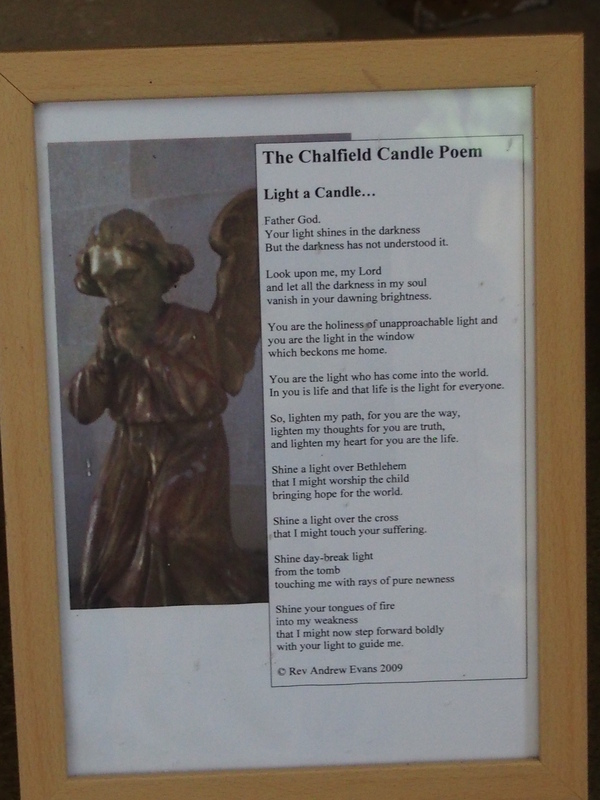 Despite the church’s small size there is a chapel set aside for prayer with a votive stand in it to use. The church is beautifully kept and is obviously cherished by those who care for it. 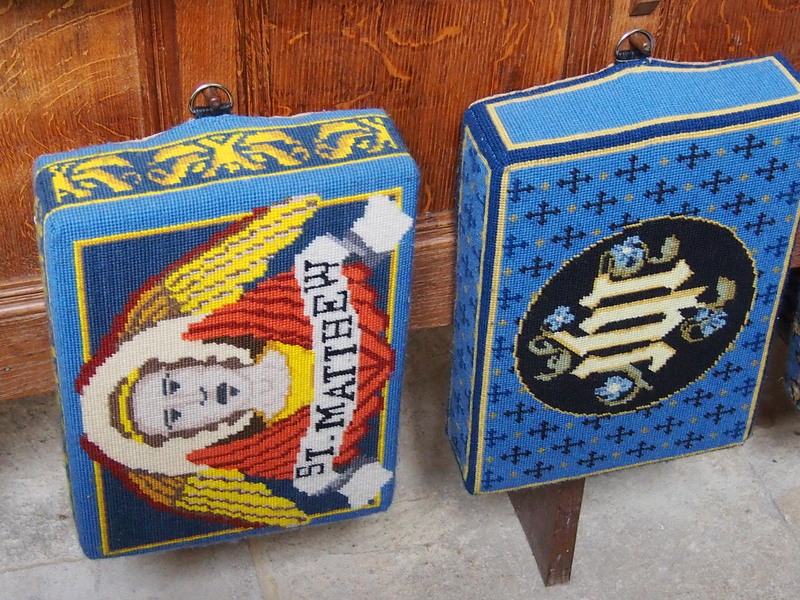 There are some colourful kneelers and a modern window on the ‘Parable of the Sower’ which was installed in 1999. 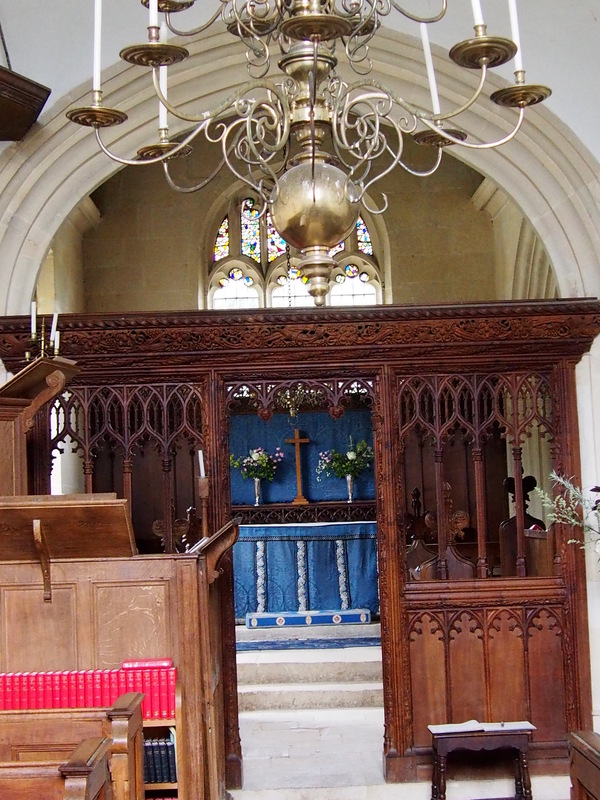 This is no museum piece, as some churches attached to NT properties are, but a real living place of worship. Well worth a visit and I rate it as good for this study.